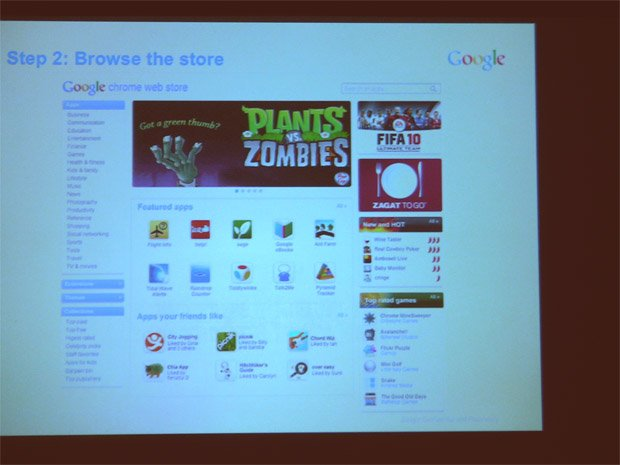 Since the earlier announcement of Chrome Web Store at Google I/O, the Google team has been working hard to launch the store in October 2010. The first step towards achieving this milestone has been made by making available the developer preview of the Chrome Web Store. The Chrome Web Store will bring themes, extensions, games and applications directly to Chrome users thereby making browsing, purchase and installation of all these very easy and intuitive for users. The apps developers in return, will have to pay 5% of the apps price and an additional 30 cents per transaction to Google. But anyhow, you can also sell your apps for free. If you are a Chrome app developer, to upload your app you will have to use the upload flow of Google Chrome Extensions Gallery.